The 2GIG GC2 AT&T-3G 3-1 Kit is a GC2 Starter Kit designed with smaller homes and apartments in mind. Users receive a 2GIG GC2 System, an AT&T 3G Communicator, 3 door and window contacts, a motion sensor and a Honeywell LT-Cable for providing power. 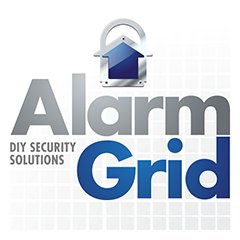 Purchase the GC2 Kit from Alarm Grid. New users with a smaller home or an apartment can't go wrong with the 2GIG GC2 AT&T-3G 3-1 Kit. The kit provides a 2GIG GC2, a 3G AT&T Communicator 3 door and window sensors, a motion sensor and a Honeywell LT-Cable. With this kit, it is easier than ever to get started with home security. The centerpiece of the setup is the 2GIG GC2 System. While this isn't the newest or most advanced system from 2GIG, it is still a relatively capable wireless all-in-one (AIO) control panel. It can do virtually anything that one would expect out of a modern alarm system. The 3.75" by 2.25" full-color touchscreen makes it easy for users to navigate the menus and program the system. The panel supports up to 60 wireless zones, so users will have no issue adding new sensors and expanding upon the setup if needed. The GC2 will support virtually any wireless 345 MHz 2GIG Sensor or Honeywell 5800 Series Sensor. And since the panel supports up to 64 user codes, everyone will be able to have their own code for operating the system. The importance of the AT&T 3G Cellular Communicator for the GC2 System cannot be stressed enough. Cellular communication is very beneficial for an alarm system because of its great reliability and generally fast speeds. While WIFI also goes down for seemingly no reason or because of power outages, the same cannot be said for cellular connectivity. Instead, cellular monitoring provides consistent communication that will keep the system monitored at virtually all times. And with the cellular communicator, the system will be able to connect with the Alarm.com interactive service. Alarm.com is a great platform that allows users to arm and disarm their systems, check the current status of sensors, control Z-Wave smart home devices and more. The service can be accessed through a web browser or remotely through the Alarm.com Mobile App.